This is a highly visible position working in a collaborative, fast-growing and flexible working environment. As the Architect in the Account you will be required to orchestrate the different elements of the customers digital transformation journey. This could include not only the technical design but also the customers operational transformation through the liaison with our own in house operational transformation and advisory teams. Pull together engineered hardware, software, and third-party solutions to meet the customers business need. Build a strong partnership with PSO CSEs. At VMware, your On-Target Earnings are real, not virtual. We offer an attractive base salary plus a monthly commission that is tied directly to your team’s quota attainment. Of course, given our growth, many of our teams surpass quota and enjoy the benefits of a plan that includes commission accelerators. We truly believe in the Power of Human Difference. We celebrate our people from a wide variety of dynamic backgrounds, experiences and perspectives. We deliver transformative IT solutions by building a community that is inclusive and diverse. The passion and collaboration you will find in joining VMware is what makes this opportunity one of the most attractive in the market. VMware is the leader in virtualization and cloud infrastructure solutions that enable our more than 500,000 enterprise and mid-market customers to thrive in the Cloud Era by simplifying, automating and transforming the way they build, deliver and consume IT. VMware enables people and organizations by radically simplifying IT through software virtualization with a focus on three core missions: End-User Computing (EUC), Hybrid Cloud and Software-Defined Data Center (SDDC). 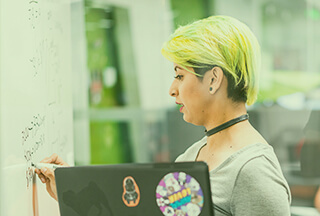 Join the community – instigators of innovation and transformers of technology – as VMware envisions and creates what is next in IT. Get connected to an engine of opportunity fuelled by the transformative products and solutions it brings to market, the passion and trust it inspires in its customers, and the collaborative drive to imagine, define and deliver the future of IT. With 14,000+ employees and 50+ locations worldwide, VMware is passionately driven to make an impact while contributing back to the community.